If you are about to have an infected tooth extracted in Monrovia, or have suffered a tooth injury and lost your tooth, you probably have several questions about dental implants. What are dental implants made of? How do I take good care of my dental implants? And can dental implants still get cavities? Dental Implants Cannot Get Cavities! One of the benefits that Monrovia patients like about dental implants is that they cannot get cavities! But, why not? What’s so special about dental implants? Well, a dental implant is usually made of titanium, and the crown, or replacement tooth, is made of zirconia. The result is a strong material that is proven to be very effective and also blends in with the size, and shade of your natural teeth. It’s completely unaffected by tooth decay. However, even if you have dental implants, you should still practice proper oral hygiene. First, you need to brush your implant twice a day, just as you would regular teeth. You also need to floss once daily, not only to prevent gum disease but also to prevent plaque buildup between your dental implant and adjacent permanent teeth. While your dental implant will never get a cavity, plaque buildup between it and permanent teeth can cause cavities to form in your permanent teeth. Good dental hygiene is also important to ensure that your dental implant lasts several years to a lifetime. What Other Ways Can I Benefit From Having Dental Implants? 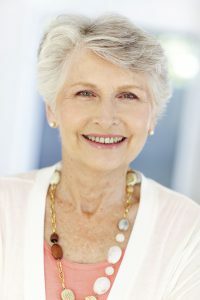 In addition to the fact that they don’t get cavities, Monrovia patients typically find other benefits to dental implants. First, they are a natural-looking tooth replacement, which can be colored to match your existing teeth. Dental implants also mimic your natural tooth and root structure. By being placed directly into the jawbone, they are safely secured, and unlike dentures, they don’t slide. With dental implants, you can eat and chew as you normally would, and they are a permanent solution, so you don’t have to take them out at night. Dental implants are also typically a better solution than dental bridges, which are made up of two or more crowns to go over the permanent teeth next to the gap in your mouth left by an extracted or knocked out tooth, and a false tooth to replace the gap in your mouth. Overall, dental implants cause less damage to your surrounding teeth, and less constant wear and tear to the permanent teeth next to the false tooth. I Have More Questions About Dental Implants. What Should I Do? If you have more questions about dental implants or the process of getting them, you should contact Monrovia dentist Dr. Q at (626) 599-9818 to schedule a consultation today. Dr. Q will go over the entire dental implant process with you, including taking impressions for both temporary and permanent crowns, referring you to a trusted colleague for placement of titanium dental implants, securing temporary crowns to the dental implants, and finally securing permanent crowns to the implants.